This front plate is the base for your individually configured controller! 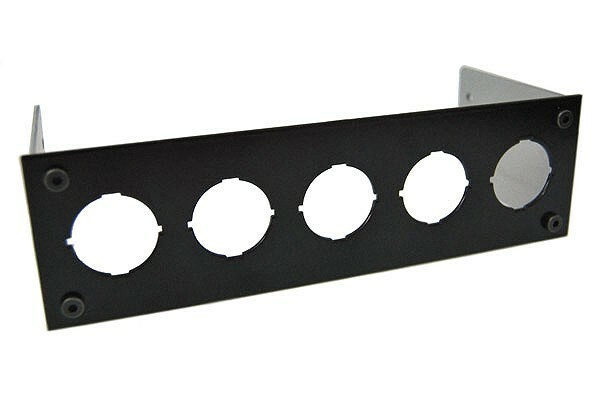 Made from steel and coated with a black powder finish, the front plate fits into every standard 5.25" drive bay. For mounting. the front plate is simply pushed into a vacant drive bay and fixated at the side with the included M3 screws. The front is smooth and all edges are de-burred. Great-looking front mounting screws round off the elegant design of the front plate. All rocking switches with a hole diameter of 17mm can be installed in this front plate! The possibilities are endless with this system, colours and functions can be chosen absolutely freely. This allows every front plate to become a truly individual piece of technology for your system!